RIYL - watching your clothes in the dryer go round and round, Mark Kozelik, one trick ponies, Red House Painters, sleep aids, being beaten by the boring stick. 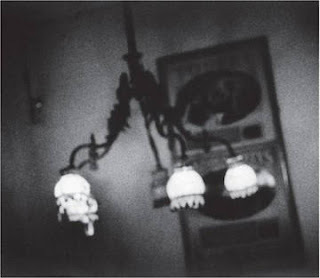 Five things that would be more enjoyable than listening to Sun Kil Moon's newest release "April"
5. Getting into a fender bender with Britney Spears. Ben Gibbard and Will Oldham may have guest appearances on this record but they are so buried in the mix that it makes mentioning them totally pointless. I get it, Mark is a reflective melancholy poet who dwells on relationships. We have quite a lengthy catalog from this gentlemen driving the pouting point home to the masses. Once upon a time I fell hard for this eternally sad sounding guy and the guitar he channels it through but some 15 records later, I am a bored lover looking to move onto something fresh and more alive. Whoa! Am I hearing hate for calculus and morning people? In Sam's world - YES! hehehe.